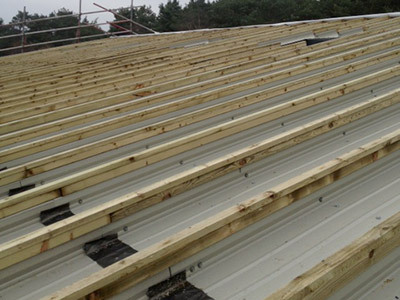 Britmet Lightweight Roofing is a leading British manufacturer of structural wall and roof liner tray support systems, to meet the growing need for faster construction methods. 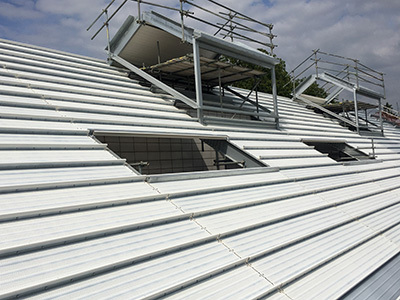 Britmet Lightweight Roofing developed the Tactray 90 for use on low and medium rise buildings. Tactray 90 is a structural metal lining system which replaces timber rafters, when used on steel frame buildings. Tactray 90 creates a structural support for all types of roofing finishes, has a great spanning performance to suit a variety of roof coverings, including fibre cement slates to heavy concrete or clay tiles, standing seam roofs and lightweight roofing system or to suit any wall coverings including rainscreens, cedar wood and all cladding finishes. Tactray meets all required building regulations and is BBA certified. Tactray has a versatility of application and can be used for all building types, where early completion is advantageous. Projects completed to date include Hospitals, Schools, Supermarkets, Sports Centres, Prisons, Utilities Building, Industrial Units, Commercial & Retail development and new Modular homes. Tactray 90 has been designed for ease of installation and can be easily cut on site to suit all roof profiles. Tactray flexibility allows for a large range of u values to be obtained, ranging from 0.18 u value down to below 0.1 u value can be easily achieved. The Tactray has strong acoustic performance where sound reduction is required. Higher or lower levels of sound reduction and absorption can be achieved dependant on the grade of acoustic insulation specified, especially used on Schools, Theatres and Swimming pools, all areas where people congregate. Tactray 90 has the ability to carry any range of roof finishes, with large span capabilities. 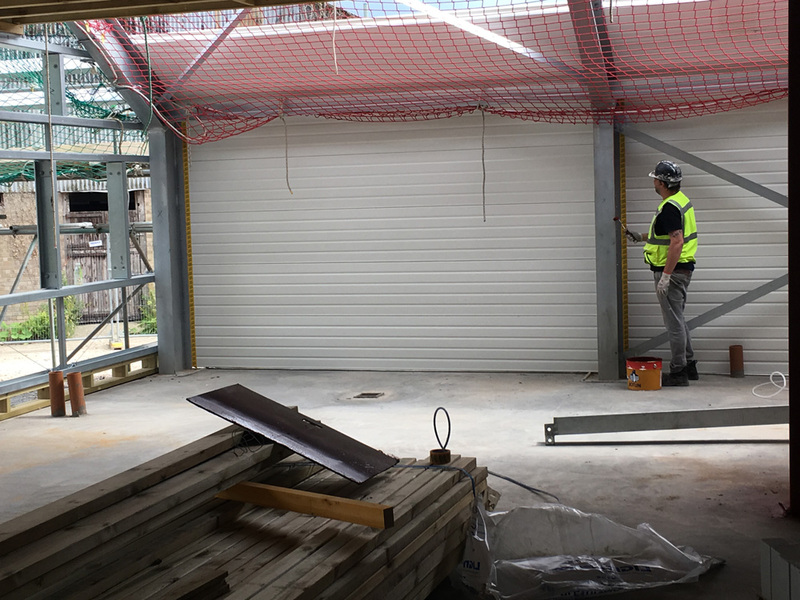 Tactray 90 offers significant reductions in building completion times, provides in strong and secure weatherproof overhead canopy at an early state in the programme, thus allow finishing trades to work beneath it, thereby removing the roof construction from the critical path. Britmet have been used in hundreds of successful completed projects. 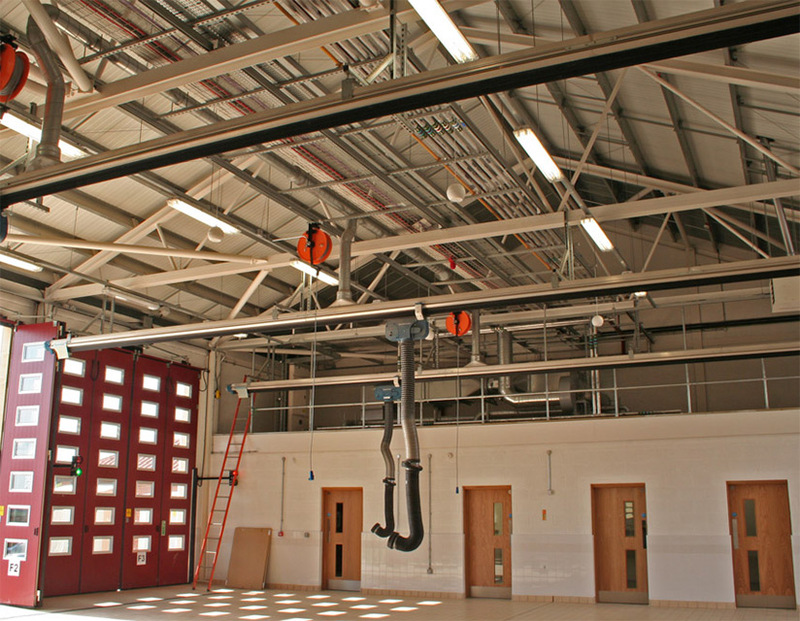 Tactray higher overall efficiency as a white finished ceiling soffit has consistently proven that total costs are actually less than other methods, such as, timber rafters and plastered ceilings. 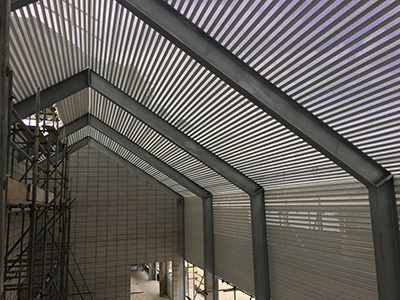 Due to the Tactray 90’s inherent structural strength, the Tactray 90 requires fewer support, permitting greater purlin spacing’s and significantly reducing the weight and cost of the structural steelwork. The Tactray 90 comes with an air gasket seal sidelap, which greatly reduces air leakage in buildings and has been independently tested by the British Board of Agreement to achieve an air leakage rate of 4.1m3/hr/m2 at 50 pascals, not including the further benefits from the roof finishes and breather membranes applied in the Tactray 90 roof build up. Flame-resistant Tactray 90 has a class O fire rating and can resist fire penetration from the inside to outside and the outside to inside, whether specified as a galvanised or white finish. Tactray helps prevent the spread of flame and continues to support the roof/wall covering during evacuation and fire fighting, giving a greater fire safety in terms of both life and financial loss. Why not contact us today on 01295 250998 or contact here for free technical advice, quotations and how you can benefit from a Britmet Tileform Tactray 90 roof support solution.